This is a real childhood love! 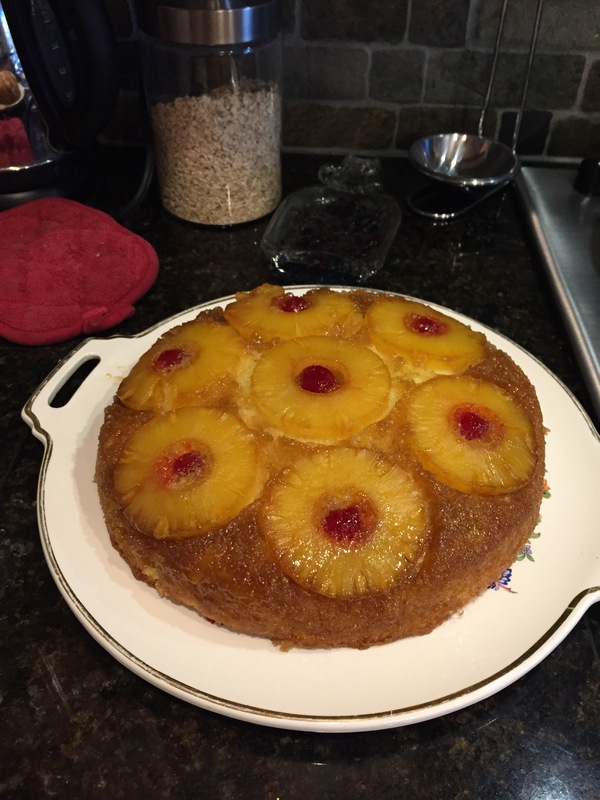 Mom never let me see it assembled… just the heavenly smells of butter, brown sugar and punapple warming the house. 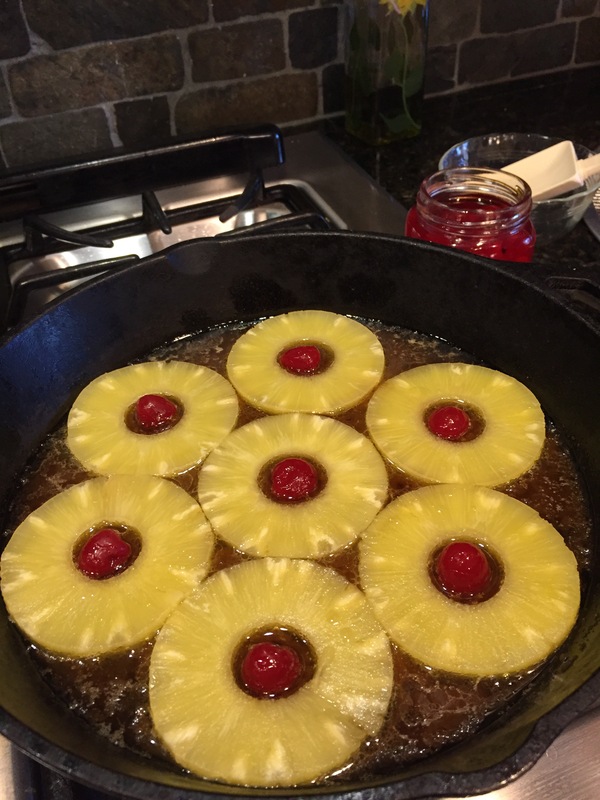 Then we all gather round for the magic of flipping the skillet and seeing the beautiful golden fruit sparkle. Oh… my mouth watering memory. Mix wet ingredients, egg, milk, melted butter , vanilla then add dry. 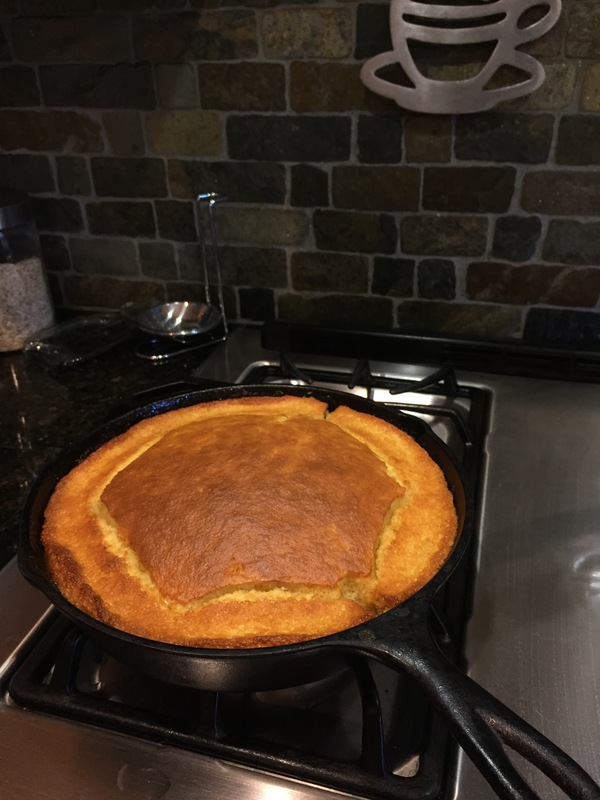 Simple yellow cake one bowl. Prep pan . Black skillet 14inch. over low heat melt 1/4 cup butter with brown sugar. 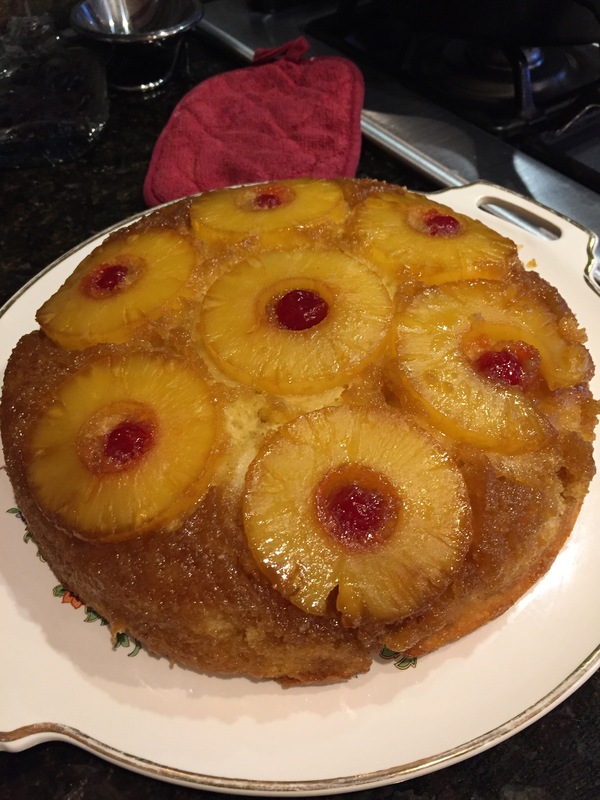 Once warm melted- do not bring to boil ( dont want andied cake) assemble your pinapple rings remove from heat. Add a halved marichino cherry forcolor. I personally dont like these but they add such color. Halved seem to work best- whole one seem to float in the batter move. Carefully pour batter over fruit inpan. Bake in 375 oven for 45 minutes or until toothpick pulls out clean. Then its magictime. Use a heat safe plate. I carefully takea knife and go around the outside of pan. Oven mits hold plat over pan and quickly flip. Ahhhhhhhhh !!! Previous postSummer salad with spring baby greens… a must! Next postStewed Italian Tomatos – a summer harvest must!